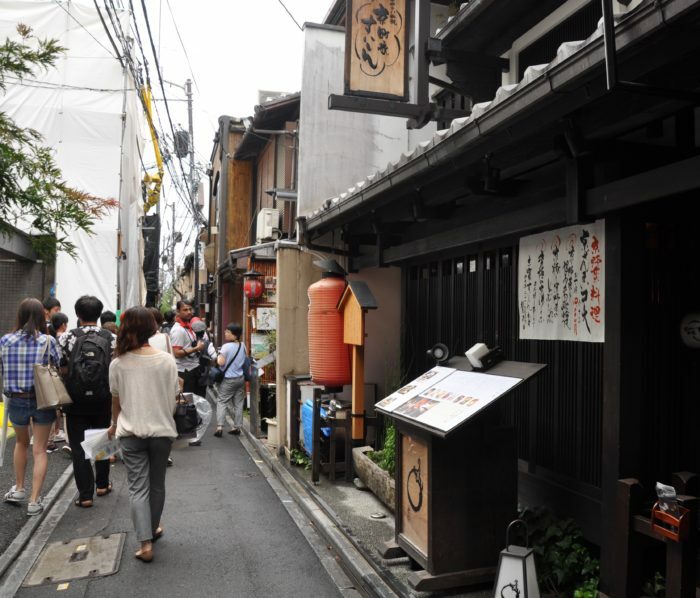 It is 7:45 pm in Ponto-cho, the historic narrow alley at the core of the Japanese city of Kyoto. 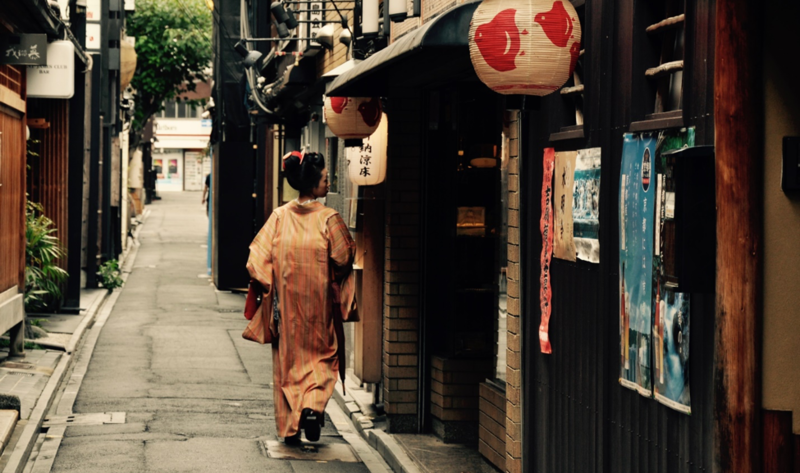 Close to the Kaburenjo Theater—where still today Geikos and Maikos (Kyoto Geishas) practice their dances and performances—the traditional adjoining buildings with restaurants and shops are full of guests. Local people, tourists, students… On this Saturday in mid-April, the warm weather brings a lot of people to the streets nearby. At 7:46 pm, a M 5.1 earthquake strikes. Seven seconds of swaying. It doesn’t cause major damage, but it is enough to spread panic among a group of tourists. Screams, shoving, confusion … drinks spill, candles fall, people rush. At 7:49 pm, the fire starts spreading through the old wooden structures, also threatening the historic theater. Access is difficult due to the narrow streets and panicking crowd. A disaster risk management approach can be fundamental for preserving heritage sites and –along with them– our human histories. Since such sites are often tourist destinations, frequented by people who are unfamiliar with the area, comprehensive risk assessment and preparation can save lives. Unfortunately, there is often a gap in awareness and understanding of disaster risk –among site managers, surrounding communities, and the visiting public, including tourists and pilgrims. The first step is to understand the risk –to the physical monuments and the integrity of the site, the cultural and economic activity in and around the site, and the well-being of local people and communities. To do this well, the local community –living and working nearby– must be part of the process to identify the risks and then protect and preserve the site, its character, and its integrity. This is not easy. We do not tend to see or even look for risk around our regular places of work or homes. Even more complicated is communicating risk to others who may only be indirectly affected, such as government officials and decision makers. Interactive activities like the Disaster Imagination Game (DIG) can help communities—including neighbors, local authorities, and heritage specialists—to understand and communicate risk. 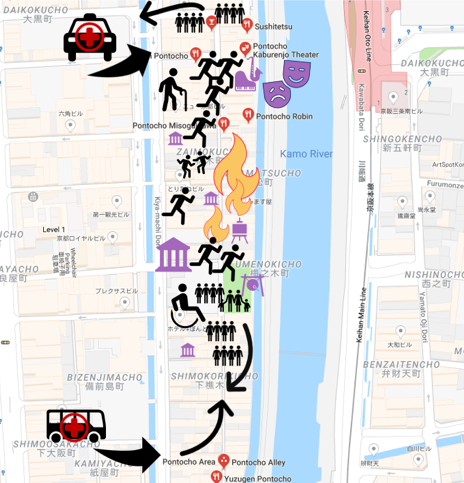 This methodology, developed in Japan, brings together different stakeholders from a historic area to analyze and assess the situation, and then prepare people and places to face possible disasters. Ultimately, they discuss and decide upon potential solutions to avoid or mitigate risk, along with preparedness measures and plans for emergency response. What and and where are the cultural heritage assets located? Are they structures, or are there also movable assets (e.g. Museum artifacts)? Why are they important? Are there emergency evacuation routes for people at these sites? How about alternative evacuation routes to access and rescue critical heritage? Are you aware of the natural hazards in the area? How about secondary, or cascading, hazards? (e.g. fires started after an earthquake) How could those hazards affect the heritage? Who makes up the community in the area? Are there elders or people with disabilities? Are there usually many tourists or visitors from out of town? Which are, therefore, the main potential risks to the heritage sites and artifacts? Which measures could or would mitigate those risks?